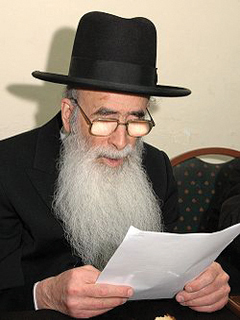 Harav Yehuda Ades, is a renouned talmid chacham and Rosh HaYeshiva of Kol Yaakov in the Bayit Vegan neighborhood of Yerushaleim. He founded the Yeshiva in memory of his father Harav Yaakov Ades. His father Sephardi Chacham, Rosh Yeshiva of of Porat Yosef in Yerushalim, and Rabbinical High Court dayon. He raised thousands of talmidim including Harav Ovadia Yosef, Harav Ben Zion Abba Shaul, and Harav Yehuda Hakohen Rabin.